We are proud of our tradition of excellence serving homeowners in the Portland area and we encourage you to check our references. We are fortunate to work with some of the best companies in Oregon and in the heating and cooling industry. These organizations work with, audit, and support our efforts to achieve 100% customer satisfaction. Listed below are just some of those affiliations for your easy reference. Nate is a leading non-profit certification program for technicians in the heating, ventilation, air conditioning, and refrigeration industry. From air conditioners to furnaces, Bryant Heating & Cooling has an HVAC system to meet your needs. Bryant® Ductless Systems Provide Comfort Where You Need it Most. ENERGY STAR is a U.S. Environmental protection agency voluntary program that helps businesses and individuals save money and protect the climate through superior energy efficiency. NW Natural has certified Heat Relief Heating & Cooling a Preferred Contractor. Heat Relief Heating & Cooling is a Preferred Provider with Portland Gas and Electric. 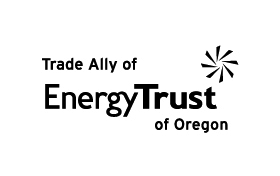 Heat Relief Heating & Cooling is certified as a Three-Star ETO Trade Ally with the Energy Trust of Oregon.